If you’re anything like me, then you’re a Twitter addict. Not that it’s a bad thing. Twitter has changed the way we communicate, how we stay up-to-date and of course how we entertain ourselves. One more thing that Twitter has changed though, which is a bit obscure, is how we link to things on the web. CloudApp now powers my blog, my desktop and my phone without disrupting my flow and using the same unified short url. That is gold! I started this post by saying that “if you were anything like me”, what I actually meant is that if you also liked to have all your assets conveniently packaged into services without disrupting your daily flow, then this article is for you. I’ve been a long standing user of CloudApp and I’m very happy with their Pro plans. I’m sure there are plenty alternatives such as Droplr, TinyGrab, DropApp etc. And you could also find plenty of articles comparing these apps. I’m also pretty sure the following will apply to any of these services so long as they provide an API. 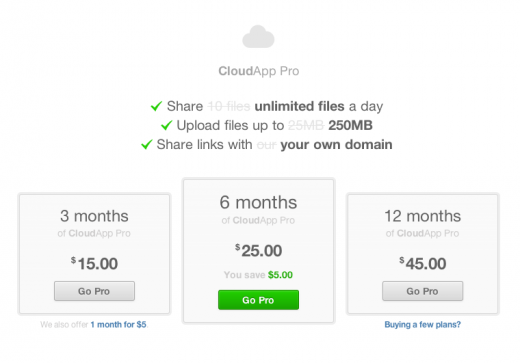 CloudApp’s Pro plans are on the higher end of the market, but the service is great! A few years back, I decided to add a custom short url to my blog and I found a great bargain on a .me TLD, so I purchased j76.me. I did some research and I started using YOURLS pretty much the same day. So, I was all set. My blog was running short urls through the YOURLS API and I had CloudApp for my desktop needs, like sharing files, images etc. But there was one problem. Since CloudApp needed a mapped url for their custom url support, I couldn’t directly use j76.me, but rather a subdomain. I opted for s.j76.me. And that’s where I started breaking my flow. Needless to say, it works like a charm! But there’s more… things get a bit more interesting (or confusing) once you consider that we don’t only use our desktop computers to post links & files. We’re on our mobile phones for the most part of the day. And since I’m on an iPhone, the solution appeared to me when I started using TweetBot. The smart lads over at Tapbots have integrated plenty of 3d party services into their app. So, just set it up and you’re good to go. 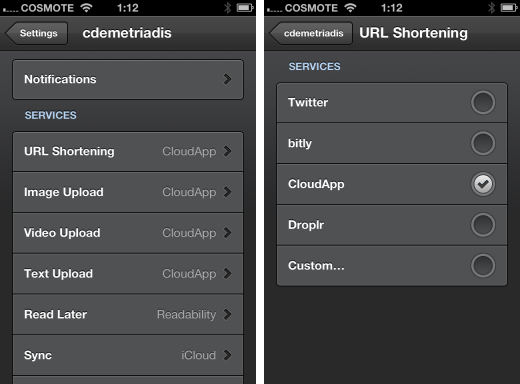 All outgoing links are automagically shortened via CloudApp, which means they use my j76.me url. This goes for images and files and everything. Tweetbot rocks. TweetBot integrates most 3d party services. But it’s not only Twitter, right? After a bit of time on the App Store, I also found ClouDrop for iOS (iTunes link). This little app, not only interfaces with CloudApp, showing you all your files and links, but it can also share to Twitter & Facebook directly. Plus, it also mimics the native OS X feature where you can take a screen grab and it gets automatically pushed to CloudApp. Awesome! 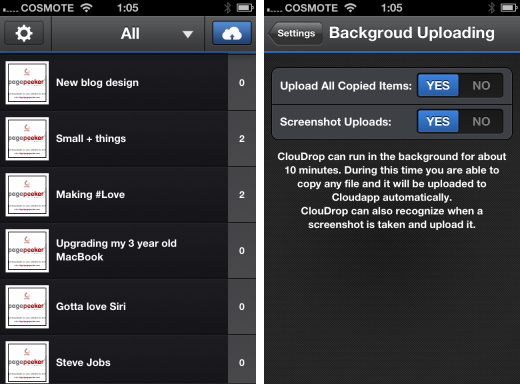 ClouDrop is a very sleek UI to CloudApp, and also mimics OS X’s native CloudApp by automatically uploading Screen Grabs. So, to wrap up, CloudApp now powers my blog, my desktop and my phone without disrupting my flow and using the same unified short url. That is gold!